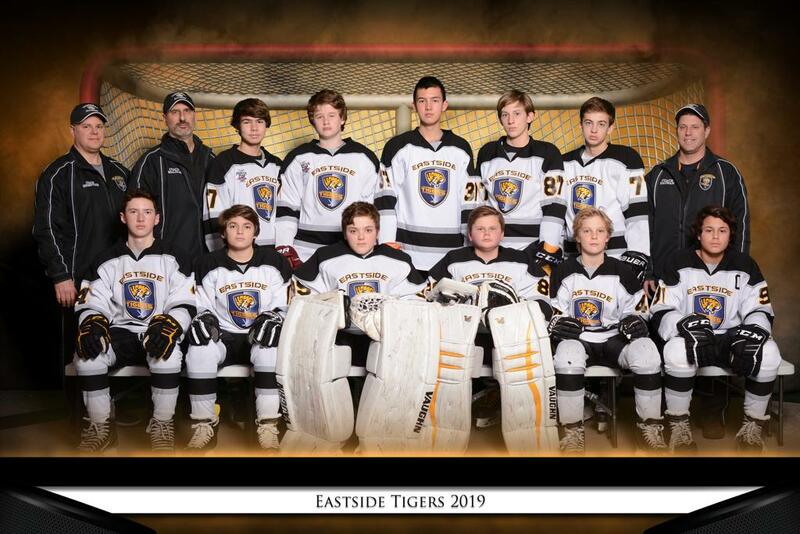 The Eastside Tigers program is pleased announce its try out schedule for the 2019-2020 youth hockey season. Our program offers exceptional coaching and skills staff. All players receive weekly skating instruction from Chip Rossbach (a former Tiger and USFS National Team Member). All goaltenders receive weekly hour-long training with Damian Rhodes (former 9-year NHL goaltender). For complete information please click the information link below. 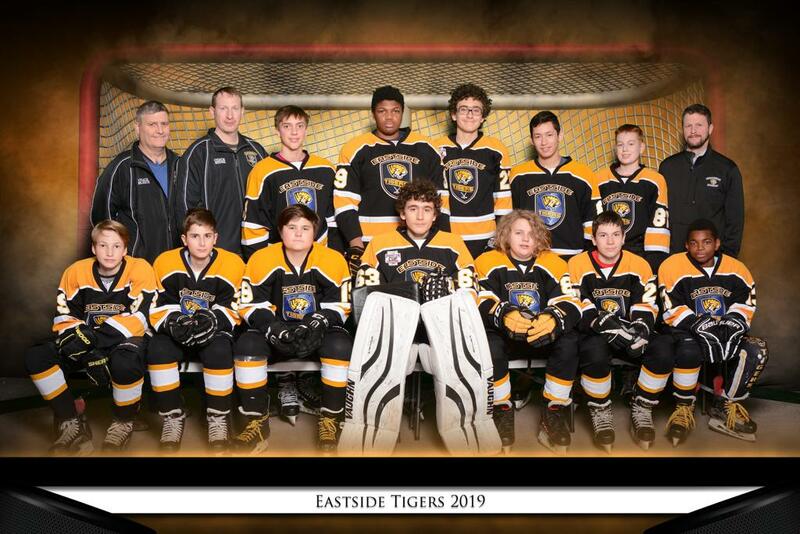 The Eastside Tigers will be represented by four of its teams when the 2019 CSHL Playoffs begin this weekend. Congratulations on qualifying for the playoffs and good luck. 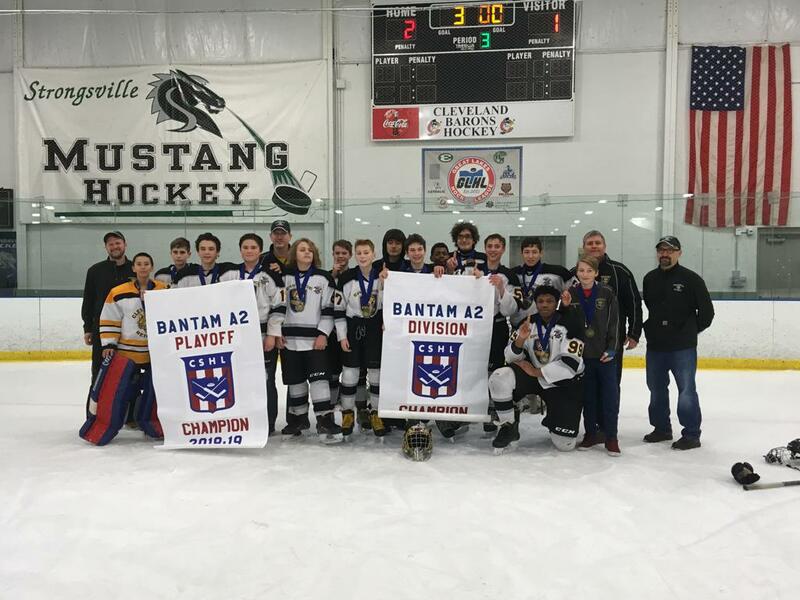 Congratulations to the Eastside Tigers Bantam 2 team on winning the Cleveland Suburban Hockey League's (CSHL) Bantam A2 Division Championship with a division record of 10-1-1. The great distance runner Steve Prefontaine (look it up!) once said, "To give anything less than your best is to sacrifice the gift." 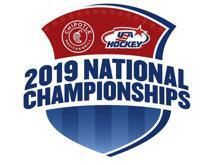 The Cleveland Suburban Hockey League is hosting the USA Hockey High School National Championships Tournament and we all need to work together to make this event a memorable experience for each and every participant and visitor. To that end, we need to encourage our program leadership and membership to get involved and volunteer to assist in creating a once-in-a-lifetime experience. We are especially in need of qualified score keepers, clock operators and penalty box attendants. We certainly have other positions that need to be filled and request that you recommend and encourage "the best of the best" to get involved. As the current AT&T commercial reminds us..."just OK is not OK" ....we want this to be the BEST experience for all involved. Thanks for your effort on behalf of youth hockey in NE Ohio and your support of this national event. Cleveland Heights' own Jason and Travis Kelce have been selected to the NFL's Associated Press All-Pro first-team. Jason, an eighth-year center for the Super Bowl LII Champion Philadelphia Eagles, was named first-team AP All-Pro for the second consecutive season. Travis, a sixth-year tight end for the Kansas City Chiefs, is making his third AP All-Pro selection. Travis was a second-team All-Pro in 2017 and a first-team selection in 2016. The Cleveland Heights High School Tigers visit Thornton Park to take on the Red Raiders of Shaker Heights this Sunday, December 9, 2018. Face-off is at 4:30 p.m. The Heights Youth Hockey Blue ADM's (8U Mites) will play an exhibition game against Shaker's ADM's between the first and second periods. Come out and cheer the Tigers onto victory. Anyone in need of team socks can order individual pairs by following the links below. I hope everyone is enjoying summer. It’s time to start thinking about hockey again. A PDF of the preseason skills and conditioning schedule is listed below. These are “optional” sessions designed to re-introduce the players to the game, check on their equipment and allow the parents to mentally prepare for the season to begin. The official start to the 2018-19 season will be September 5, with skills starting the Tuesday after Labor Day. The renovations to the ice making system at Cleveland Heights are on schedule and the North Rink will be operational by then. The South Rink is expected to be operational by October 15. The pre-South Rink schedule should be completed by mid August. I can tell you that player skills sessions will again be on Tuesday nights and the goaltending clinic on Wednesday nights. Each team will also receive an additional week night practice (Wednesday or Thursday) and a weekend game\practice slot (Saturday or Sunday). For the Eastside Tiger families that are members of the Heights hockey program sign-ups will be available online sometime in mid August. You will receive an email notification. 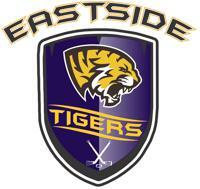 For those who were unaware, I wanted everyone to know that the Eastside Tigers had the highest average level of team placement amongst all of the programs in the CSHL last year. It’s a credit to all the effort put forth by the players, parents and coaches. The coaches and I are looking forward to another excellent season of player development and fun hockey. 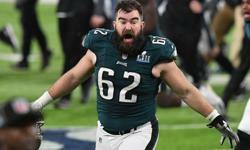 First Team All-Pro Center and former Heights Tiger Jason Kelce anchored the Philadelphia Eagles offensive line and helped his team win their first ever Super Bowl. The Heights Hockey Community congratulates Jason and the entire Eagles organization on winning Super Bowl LII. 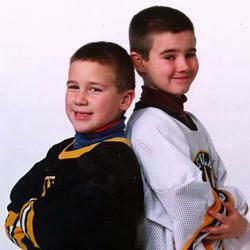 The Cleveland Heights Youth Hockey Association congratulates former Tigers Jason Kelce and Travis Kelce on being named to the 2017 AP All-Pro Team. Jason was named first-team AP All-Pro Center from the Philadelphia Eagles. Jason played college football for the Cincinnati Bearcats and is a 2006 graduate of Cleveland Heights High School where he played football, hockey and lacrosse. Travis was named second-team AP All-Pro Tight End from the Kansas City Chiefs. Travis also played college football for the Cincinnati Bearcats and is a 2008 graduate of Cleveland Heights High School where he played football, basketball and baseball. Bill Beard was one of seven individuals inducted into the Greater Cleveland Sports Hall of Fame on Thursday, September 14. Joining Bill as part of the induction class of 2017 were Brian Brakeman (wrestling), Dan Coughlin (media), Gordon Gund (basketball), Oliver Luck (football), Rick Manning (baseball) and Tom Slater (golf). Bill Beard was destined to be a coach and by extension a leader and mentor of young men. Born and raised in Cleveland Heights, Bill began playing baseball on neighborhood ball diamonds and hockey at the Cleveland Heights Recreation Pavilion during his youth. He attended Cleveland Heights High School where he graduated in 1980. While a student-athlete at Cleveland Heights he starred on both the sandlot (pitcher/outfielder) and ice rink (defenseman). During his junior and senior year Bill was a two-time All-Scholastic in hockey and a two-time All-LEL selection in baseball. The Tigers advanced to the OHSAA Final-Four in hockey his senior year. After graduation Bill attended Northwood School in Lake Placid, NY for the 1980-81 academic year as a post-graduate student where he played hockey and was recruited to play hockey and baseball at Princeton University. Bill entered Princeton University in the autumn of 1981. During his freshman year Bill was a defenseman on the hockey team and a pitcher on the baseball team where he received the Kellogg Memorial Trophy awarded annually to the freshman player who excelled in sportsmanship, devotion to Princeton’s baseball interests and athletic endeavor. During his junior campaign Bill received the Edward J. Donovan Baseball Award presented annually to the pitcher who performs best in wins, ERA and strike outs. As a senior Bill was co-captain of the baseball team and the Tigers set a school record for most wins in a season with 29, won the E.I.B.L. Championship and qualified for the NCAA Tournament. Bill received the Kafer Memorial Trophy awarded annually to “that member of the Princeton Varsity Baseball team of good moral character, who, during the season, in addition to proving himself a player of ability, has best exemplified the following traits and characteristics: observance of the rules of the game and fairness towards opponents, loyalty and devotion to Princeton’s baseball interests, courage, manliness, self-control and modesty, perseverance and determination under discouraging conditions.” Upon completion of his pitching career, Bill had made his mark on the Princeton Baseball Record Book where he ranks tied third all-time in pitching wins, fourth all-time in pitching winning percentage and is in the top-ten in various other pitching categories. Bill graduated in 1985 with a bachelor of arts in sociology. Although it was on the baseball diamond where Bill had his most success as an athlete, hockey remained his first love and it is behind the bench where he would go on to be one of the most successful hockey coaches in Cleveland high school history. Bill began his coaching career as an assistant coach, first at his alma mater Cleveland Heights (1985-88) and then at Padua Franciscan High School (1990-93). In three seasons at Cleveland Heights the Tigers were OHSAA State Champions (1987), OHSAA State Runner-up (1986) and twice GCHSHL Baron Cup Champions (1986, 87). While at Padua the Bruins were OHSAA State Runner-up (1991). During this period Bill also spent a season (1987) as pitching coach at Case Western Reserve University and two seasons (1988-90) as an assistant hockey coach at Kent State University (NCAA D-I) where he managed recruiting for North America. Bill would go on to co-found Team Ohio Midget AAA Hockey where he was an assistant coach for three seasons from 1994-97. Team Ohio assisted aspiring hockey players to move on to play at the Junior and NCAA level. During his tenure Team Ohio qualified for two USA Hockey National Championship Tournaments. 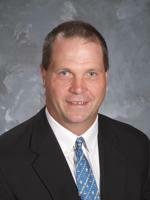 Bill was hired head coach of the Varsity Hockey Team at University School in 1998, transforming the program into a state power. University School would go on to win the OHSAA State Championship in 2003 and 2009, was an OHSAA State Runner-up in 2002 and 2004, a five-time OHSAA State semi-finalist, won nine OHSAA District Championships, seven GCHSHL Baron Cup Championships and four GCHSHL Red-North Division Championships. During the 2008-09 season University School became the seventh school, and first since the 1993-94 season, to win a triple crown (Division, Baron Cup and State Champions) in the same season. After sixteen seasons Bill amassed an overall record of 344-181-48 with his teams winning twenty or more games in twelve of those seasons. During this same time period Bill was selected Coach-of-the Year by the Plain Dealer in 1999, 2003 and 2009. The News-Herald selected Bill as Coach-of-the-Year in 2001, 2002, 2003, 2004, 2007, 2009 and 2012 as well their Coach-of-the-Decade for the 2000’s. For his contributions to the Greater Cleveland Hockey Community Bill was inducted into the Cleveland Heights Hockey Hall of Fame in 2007. After a two-year sabbatical, Bill was back behind the bench as Head Coach at Upper Arlington High School for the 2016-17 season. The Golden Bears finished with an overall record of 21-9-3, thus extending his overall coaching record to 365-190-51. Bill and his wife Courtney currently reside in Perrysburg, OH. He will be working in the Office of Admissions at Toledo St. Francis de Sales High School where he will continue his love of hockey as an assistant hockey coach. He has two step-children, Bobby (23) and Veronica (19). The Cleveland Heights Hockey Community congratulates Bill on his induction into the Greater Cleveland Sports Hall of Fame. ©2019 Eastside Tigers / SportsEngine. All Rights Reserved.